Brand development is both an art and a science and developing an appealing brand image can make or break a business. Some brands offer products that have an undeniable allure and practically sell themselves, but others need to get more creative and basically develop an image that both reflects the brand’s aspirations and gives the audience what it wants. This is especially important in hospitality marketing, since brands often distinguish themselves by their excellence and exclusivity. QSRMagazine.com featured some prime examples of how hospitality brands have created a sense of “inclusive exclusivity” to attain the status and success they desired. The idea of inclusive exclusivity originally came from the fashion world and French billionaire Bernard Arnault. He discovered that he could take prestigious luxury brands from the fashion and beauty industries with hundreds of years of heritage and leverage their allure in many other markets to increase the profitability of a variety of products. He quickly purchased Louis Vuitton, Marc Jacobs, and similar fashion legends and used their couture and fine accessories to uphold the brand’s image while driving less costly goods like wallets and perfumes. He simply used the high-end to build the brand and the low-end to deliver the profits. Today, this brilliant concept can be applied to any business, yet is especially effective in the hospitality industry and the quick-service segment. The brand simply uses the elite original to sell the prestigious image, while the more accessible and affordable spin-offs deliver the volume sales. An outstanding example of crafting an image that a brand had yet to achieve involved the marketing of the Borgata Hotel, Casino, & Spa at the Jersey Shore. The resort strived to develop the glamour of New York City’s hottest clubs and restaurants at the Jersey Shore, but the image of New Jersey just couldn’t compete with the appeal of New York. The solution lay in the concept of “inclusive exclusivity,” which involved creating the illusion of exclusivity through a hotel marketing campaign that conveyed an aspirational experience. Basically, it was about turning perception into reality. The resort had already defined the prestigious image it wanted, so the marketing team created a campaign that expressed this exclusive image by designing glossy print ads, producing stylish events, and ensuring exceptional service that made guests feel like VIPs. Their efforts were able to elevate the resort into a hot spot that could rival the hippest in Manhattan. 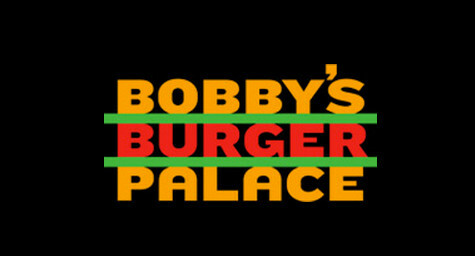 A quick-service success story can be found in the empire of celebrity chef Bobby Flay. He attained extraordinary success through his high-profile restaurants in New York City and with TV shows on the Food Network. He soon expanded that success into a personal brand that is perceived as exclusive and aspirational to the general public. First, he took his prestigious brand image and used it to open licensed upscale restaurants in major casino hotels. 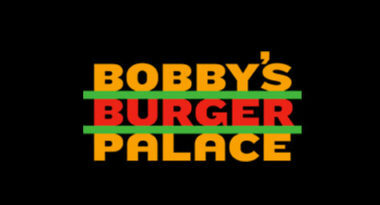 Then, he ventured into the world of quick service with casual burger eateries and now has 10 outlets in various states. By applying the model of inclusive exclusivity, he has been able to maintain his exclusive brand image while making his restaurants extremely inclusive. The results have been seen in huge profits and popularity. Other celebrity chefs have followed Flay’s lead, including Wolfgang Puck, Mario Batali, Jean-Georges, and Rachael Ray. They have leveraged their prominent images into successful brands to turn their high profiles into high profits. Inclusive exclusivity is so powerful because it sparks an emotional connection by giving consumers what they deem to be special and elite. It not only enhances customer satisfaction, but also drives word-of-mouth since people derive a sense of esteem from experiencing the exclusive. And when it comes to the hospitality industry, an image can make an unforgettable impression. Transform your hospitality brand into an exclusive experience. Contact MDG Advertising. MDG Advertising, a full-service advertising agency with offices in Boca Raton and New York City, is one of Florida’s top hotel marketing agencies. Our 360° approach uses just the right mix of traditional and online media to reach your hotel’s marketing goals. While some industries may fare better in print and others online, we strive to create a balanced approach, where traditional and digital marketing efforts support each other and your message is tailored to the medium. To stay on top of new hospitality and hotel marketing trends, contact MDG Advertising.